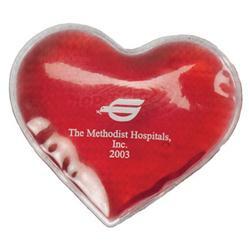 A Promotional Red Heart Shaped Ice Pack with your logo. Perfect for your next health care promotion! Each gel pack comes in clear vinyl carry case. Freezes hard in freezer. Can imprint on the gel pack or on the case. 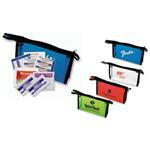 Available Imprint Options: On Gel Pack or on Carry Case. 26 pounds per 200 pieces.